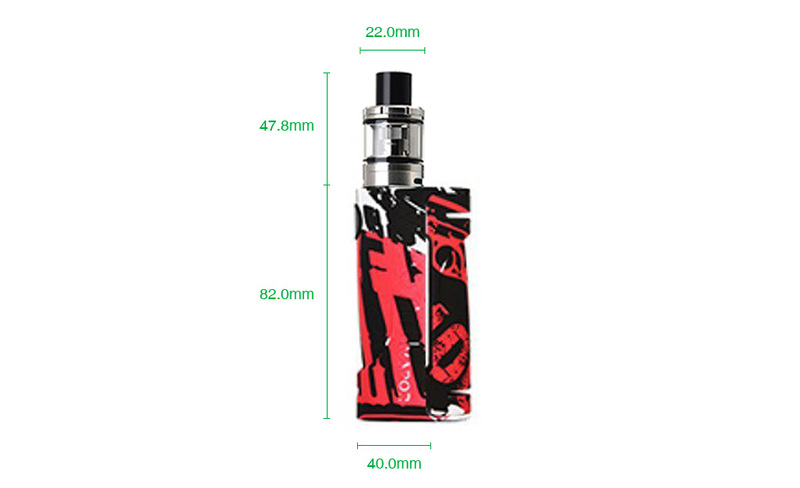 With attractive graffiti series design, the Vapor Storm ECO Kit 90W is a powerful and lighter kit made from ABS plastic material. Consisting of the ECO 90W Box Mod and 2ml subohm Tank, the ECO Kit 90W brings wonderful vaping for you. Let’s introduce the new Vapor Storm ECO Kit 90W! 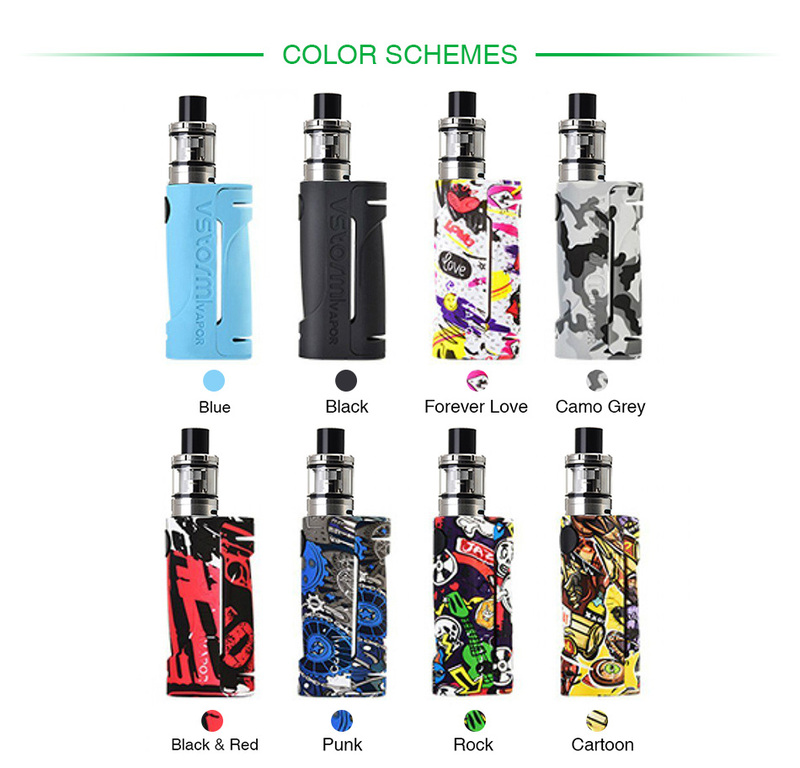 The ECO Kit is a newly designed portable and lighter box kit consisting of a ECO 90W Box Mod and a subohm Tank with unique graffiti series patterns and good hand feeling. Powered by single 18650 battery, the Vapor Storm ECO Kit works with direct output and fires up to 90W with 10s continuous vape time and stable performance. Plus the 2ml powerful subohm Tank with easy top fill design and adjustable bottom airflow control for optimal flavor and huge cloud, the ECO 90W Kit is definitely an excellent vape device. Constructed from high quality ABS plastic material, the ECO kit is extremely lightweight and convenient to carry. Just get it and enjoy the wonderful vape experience.